I know I’ve been talking about booking a trip to Charleston for over two years now, but now I reeeeeally need to. One place I’ve always heard when people talk about Charleston is the great shopping, specifically at Hampden Clothing. While I haven’t yet visited the boutique in person, you can shop much of their store on their website! If you take a look at their new arrivals, you’ll discover they sell some of my favorite labels like Zimmermann, Tibi, Rag & Bone, Isabel Marant and more. Highly curated, it’s a great mix of edgy pieces and others with a bit more of a feminine touch. The tie-front detail on this pullover is not the kind you’re used to. Leave it to Phillip Lim to add his own twist to the trend! If you’re a fan of cruelty-free fashion, you’ll love this simple bag by Stella McCartney! Such a sleek staple, don’t you think? I have three pairs of Rag & Bone boots, so I can honestly tell you they are some of the most comfortable out there. Even the heeled boots! Loving this new pair. I’ve told you all about my velvet obsession, so you shouldn’t need any further explanation for this smoking jacket. If you’re looking for an elevated top you can wear to work or on the weekends, check out this one by See by Chloe. Love the cuffs! I have yet to tap into the white boot trend, but with that Miu Miu coat I purchased at the Desert Hills outlets a few weeks back I’m thinking I may need a pair. This could be it! This dress makes me think of the movie The Craft for some reason, but I really love it. Velvet? Check. Thigh high slit? Yeah, it’s got that too. And don’t forget to take a peek at the back! Mules have been my best friends this season, and what’s not to love about a pointy-toed pair with a bow on top? Distressed jeans + sweaters are a good weekend go-to for lounging around and seeing movies in. This pair is ideal because it’s not a total boyfriend fit – it’s actually more of a skinny! 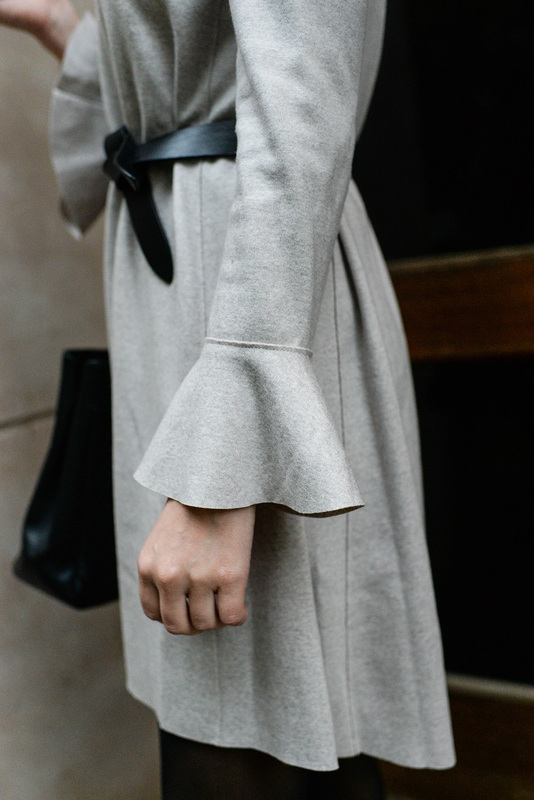 The shape on this voluminous Carven coat is to die for! The color is a winter season staple too. Another clothing item I always buy from Rag & Bone is a good sweater. Love the simplicity and minimalist look of this mock neck style! 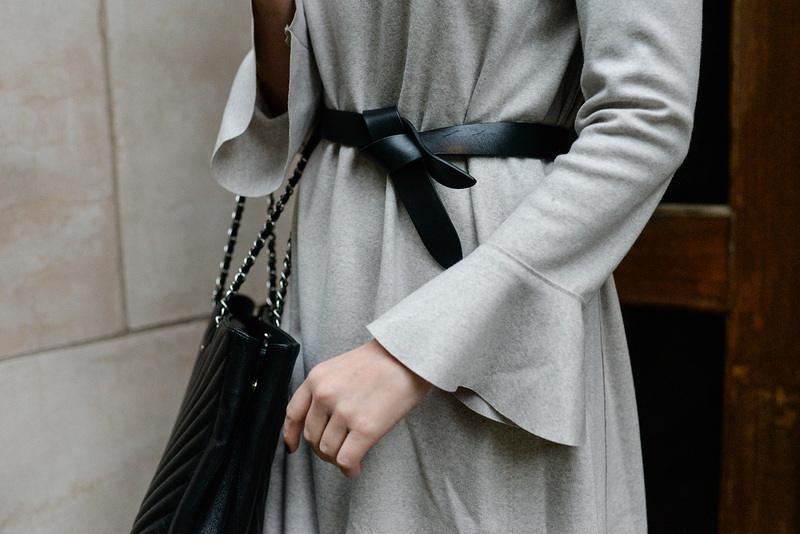 Long-sleeved LBD’s are not always the easiest to find. Especially cute ones! Adore the ruffle details on this one by Ulla Johnson! Omg I’m loving these knits! So cute!